Jose checked out the old unit and found it would be best to replace the unit because the motor was burnt out. He installed a top of the line DC unit with eatery backup and LED lights and WI-fi. He installed a nwe spring system and rebuilt the door rollers giving us a quiet operation and the security of a battery back-up. The work was done quickly and no mess was left behind. Mot cheap but we feel we got the bast and that is what we asked for. We had a new opener installed as well as springs. The installer, Steve, was extremely helpful in determining which opener to use, why our door might be too heavy for most openers, etc. We will definitely be sure to call on Precision if needed in the future as well as recommending to our friends/neighbors. Steve was wonderful, friendly, and we discovered a common high school. When you call us, we will provide a free inspection and estimate in your home. We will come to your home, discuss all the options, show you how the door will look on your home, and if you like, take your order at that time. Doors we offer: PRICISION DOOR, CLOPAY, AMARR, WINDSOR, 1st UNITED DOOR TECHNOLOGY, WAYNE DALTON and CUSTOM WOOD DOOR DESIGNS. Call us about other brands. We offer doors in materials such as METAL, WOOD, FIBERGLAS, COMPOSITES and VINYL, and in designs such as SHORT or LONG PANEL, and CARRIAGE HOUSE in METAL, WOOD, VINYL and COMPOSITES. All of our products include a warranty up to LIFETIME WARRANTY, saving you many dollars in repairs over a lifetime of operating your garage door. We are generally able to install your door as early as next day, and sometimes the same day. Why do homeowners choose Precision for their new garage door purchases? Precision Door is in over 1000 homes every day repairing Garage Doors or installing new doors? Our CUSTOMERS TRUST US as experts in the field! BECAUSE OF OUR EXPERTISE IN REPAIRING GARAGE DOORS, you may not need to replace it, we may be able to replace the damaged section., saving you money. WE'LL HELP YOU MAKE THE BEST DECISION FOR YOU, whether it is buying new, or repairing. Precision Door of Riverside/San Bernardino has serviced virtually all of Riverside and San Bernardino Counties for almost 14 years. Need service? We will send an expert garage door repair technician to your home to repair your door on your schedule. 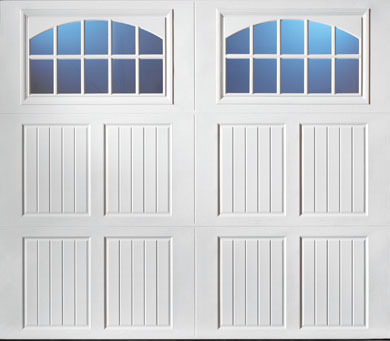 We SERVICE VIRTUALLY ALL MANUFACTURERS of residential garage doors and openers. We repair BROKEN SPRINGS, BROKEN OR BENT ROLLERS, BROKEN OR FRAYED CABLES, MISALIGNED OR BENT TRACK, NOISY DOORS OR OPENERS, PANEL REPLACEMENT, OPENER REPAIR, and other parts of residential garage doors. All phone calls are answered by a live person...not voicemail or other recording. WE GUARANTEE SERVICE WITHIN 4 HOURS OR WE WAIVE THE SERVICE CALL FEE. When on our website you have the ability to chat to get some of your questions answered, and you can also book a service call in chat mode. We have evening and weekend appointments for your convenience. All of our work is guaranteed, with an option of up to a limited LIFETIME WARRANTY. 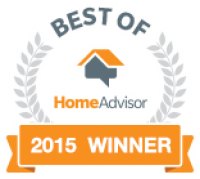 Why do homeowners choose Precision for their garage door repairs? 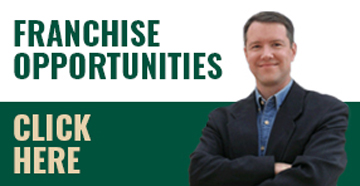 Precision Door is in over 1000 homes every day repairing Garage Doors or installing new doors? Our CUSTOMERS TRUST US as experts in the field, and appreciate our ability to provide them honest information to make the best decision for them. Because of our expertise in repairing garage doors, if your door is damaged, you may not need to replace it, we may be able to replace the damaged section., saving you money. WE'LL HELP YOU MAKE THE BEST DECISION FOR YOU, whether it is buying new, or repairing..
WE TAKE ALL MAJOR CREDIT OR DEBIT CARDS INCLUDING VISA, MASTERCARD, AMERICAN EXPRESS, DISCOVER CARD AND OTHERS. 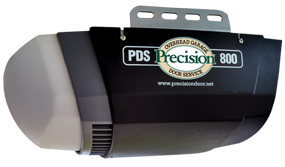 PDS800 DC POWERED GARAGE DOOR OPENER - This energy-efficient, DC-powered opener runs at an AC-equivalent speed. The DC drive motor has a soft-start and soft-stop for smooth, quiet, long-term reliable performance. -- Variable speed operation delivers ultra-smooth, quiet performance, increasing long-term reliability. -- Safety First, if the obstacle-sensing beam is crossed when the door is closing, the door reverses to fully open. -- Park or Reverse Door To permit both ventilation and access, the garage door can be stopped and parked during either upward or downward travel. -- Secure, Responsive Remote Control remote controls operate over a long range and employ high-security technology. -- Automatic Courtesy Light A built-in 100W MAX light illuminates the garage for five minutes every time the operator is used. -- Easy Door Release When you need to open or close the garage door manually, simply release the operator's quick-disconnect trolley. -- Warranty -- Precision offers a lifetime warranty on the motor and the belt. If your motor has a problem, we're not going to just fix it. We're going to take it down and give you a brand new one. If you can find a motor with a better warranty- buy it! PDS-370 GARAGE DOOR OPENER - The PDS 370 and PDS 270 are feature-rich openers, built to last and guaranteed to provide years of smooth, trouble-free performance. -- LED lighting and reduced stand-by power consumption make them the most efficient residential garage door openers available. -- The (DC) Smart Motor, coupled with a chain or belt drive system, ensures an amazingly quiet operation. -- The PDS 370 has an optional battery back up system that allows the opener to operate even when electricity is out! -- Safety reversal (sensing technology) system, door stops from closing upon contacting a person or object...Warning System (light flashes) during an obstructed condition. -- Manual emergency release in case of power failure. -- This Opener has a Lifetime Warranty on Most Parts. WE REPAIR GARAGE DOOR OPENERS: Call Precision today and get your garage door opener fixed right! -- We repair almost as many garage door openers as we replace. -- We carry all of the necessary components on our trucks to repair most garage door openers. 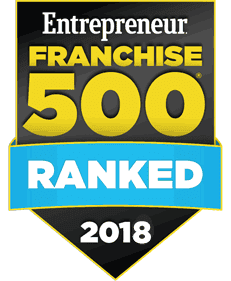 -- We begin every job with a 25-point inspection, so you can be confident that you'll know exactly what the problem is with your opener before having to make a decision. -- First, CHOOSE THE RIGHT OPENER to fit your needs. -- There are 4 types of garage door openers, (1) Belt Drive Openers, (2) Screw Drive Openers, (3) Chain Drive Openers. and Jackshaft Openers. -- Belt Drive garage door openers are the quietest on the market, and the belts are typically warrantied for life, so dependability is not a problem. Because they are dependable and so quiet, belt drives are considered to be the best value in garage door openers. Warranties vary by manufacturer. -- Screw Drive garage door openers use a lifting mechanism that moves along a threaded steel rod. They are powerful units and because they have few moving parts, require little maintenance. While the performance of these machines has been improved in recent years, typically the older units are not as quiet as the belt drive units and can be affected by cold weather climates. -- Chain drive garage door openers are the stalwart of the industry. They are ultra reliable and less expensive than the belt drive which makes them a popular choice. Chain drive openers can be a good choice to save a little money when your garage is not attached to your home. -- Direct Drive Opener (Jackshaft) -- This specially designed garage door opener is mounted to the wall beside the garage door. It frees up ceiling space that can now be used for maximum storage and provides a perfect solution for low and cathedral ceilings. This is a DC motor that is extremely quiet.